We help all our students build a digital portfolio and think critically on what they would like to add to it. So far, we’ve helped our students build 14,604 digital portfolios which include 98,735 projects and 2,310 showcases! Our students learn new topics in math, statistics, physics and more! These skills apply well beyond computer science and will help them in all facets of life. Hatch classrooms are designed to facilitate open communication and group learning. Students get to talk to peers and make meaningful relationships with coaches and other students. 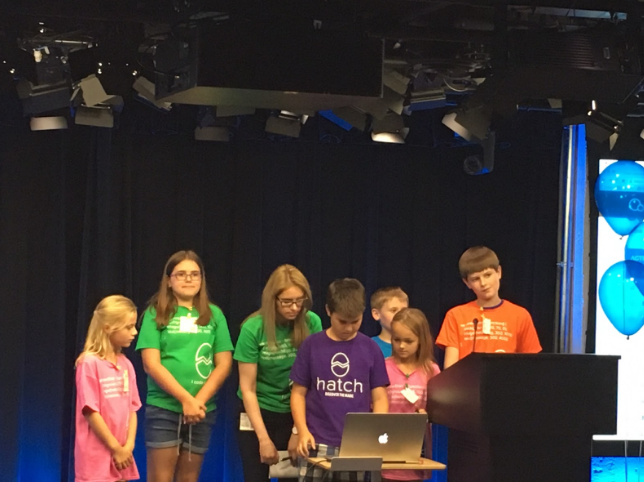 Field trips, like our recent one to Mozilla, also help students see how coding applies in real life scenarios and meet coding professionals. All in all, we teach kids how to have fun, be independent and manage themselves. We believe these skills, along with coding, set them up for success in our increasingly digital future and helps them build great self-confidence.